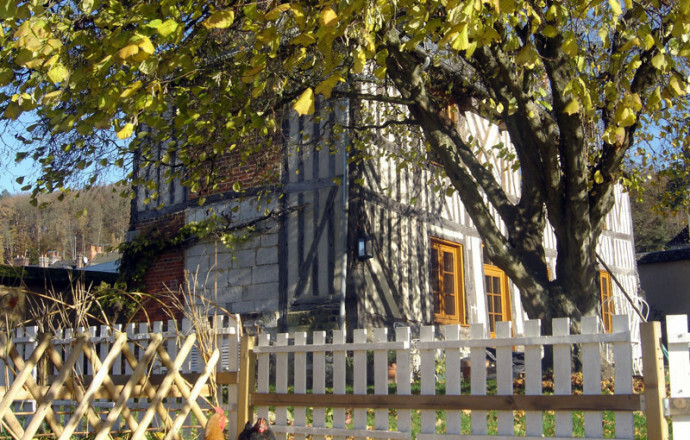 A half-timbered hosue located in the famous beautiful village of Bec-Hellouin. Honfleur nearby. In one of the most beautiful villages of France, 2 steps from the Abbey, this house reveals the charm of its traditional timber-framed. In the village, but without direct vicinity, it opens out onto a view of the valley du Bec where you will find sheep and hens. Very spacious and comfortable, it offers a relaxing stay at the corner of the monumental fireplace or in the shade of trees for lunch. GROUND FLOOR : spacious kitchen with dining area, large living-room with fireplace. 1ST FLOOR : 2 bedrooms (1 double bed 160x200, 2 single beds 90x200), shower-room with toilet. 2ND FLOOR : bathroom with toilet. Private garden of 800 m² with animals (hens, sheep), riverside. Old materials and contemporary facilities give it plenty of character. Cats are accepted. View from the garden and the windows, on the famous Tour St Nicolas of the our Lady of the Bec Abbey. 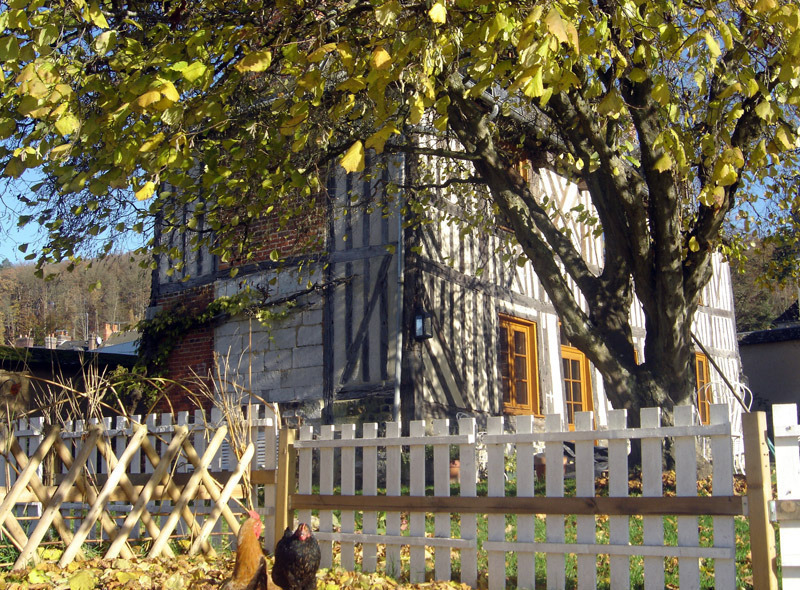 Le Bec Hellouin is part of 22 favorite villages in the French. Tourist tax applies. Both the house and the village were wonderful. Cadre campagnard très agréable, maison facile à vivre avec beaucoup de rangements, literie confortable. En bref, on se sent bien dans cette maison. Petit bémol: pas ou peu de réseau. Nous vous remercions d'avoir pris du temps de rédiger cet avis. Nous vous remercions. 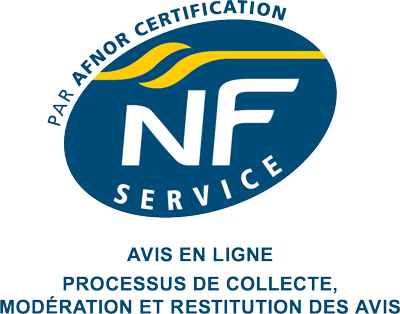 Nous avons été très heureux de vous accueillir er ce fût un réel plaisir d'échanger avec vous. Nous vous souhaitons un bel été et une bonne continuation. We are delighted that you appreciated our gite. We are both surprised and confused that you were cold at your arrival. The house was preheated for your comfort. We confirm you the insulation is certified. The gite is also equipped with efficient radiators. It is a pity that you didn't inform us during your stay about that, we would have intervened and turned the thermostats. You had the chance to enjoy the fireplace to combine with, in order to get a comfortable temperature. We gave you free wood for your convenience. As for the final house cleaning, it is charged when it isn't done at your departure. Finally, extra charges and options (sheets and towels) are mentionned on the contract. Yours sincerely. Cadre agréable pour un séjour campagnard. Gîte confortable dans un très joli environnement. Excellent. De l'espace, du calme, un aménagement agréable et confortable, le gîte La patte de loup mérite le sans faute. Très bon accueil du propriétaire toujours à l'écoute des occupants du gîte. 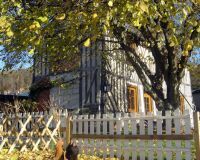 Maison très agréable et confortable, bien située pour visiter la Normandie.